Helsinki-based designer Joanna Laajisto drew upon traditional Scandinavian holiday cabins when designing this collection of wooden furniture for Finnish brand Made by Choice. 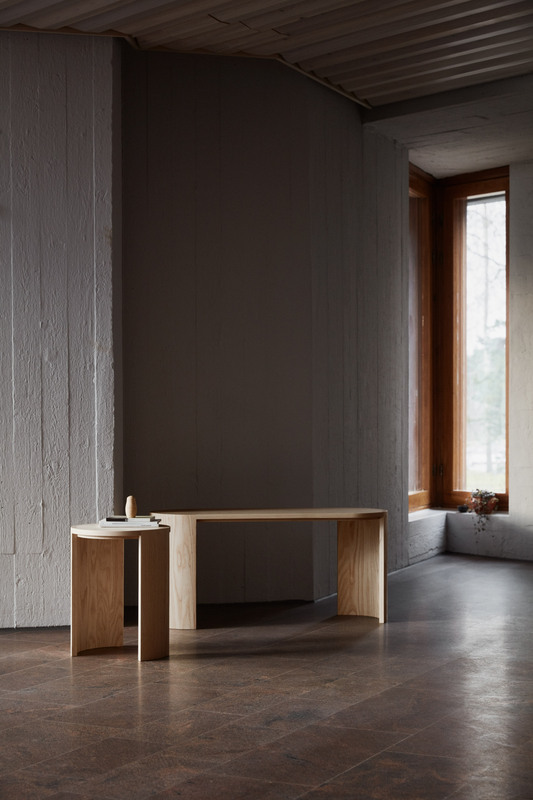 Laajisto originally designed the Airisto collection for a bed and breakfast in Turku, Finland, which is set to open in summer this year and will feature interiors designed by her studio. Her designs are meant as contemporary interpretations of Scandinavian summer cabins, where families traditionally spend their holidays. 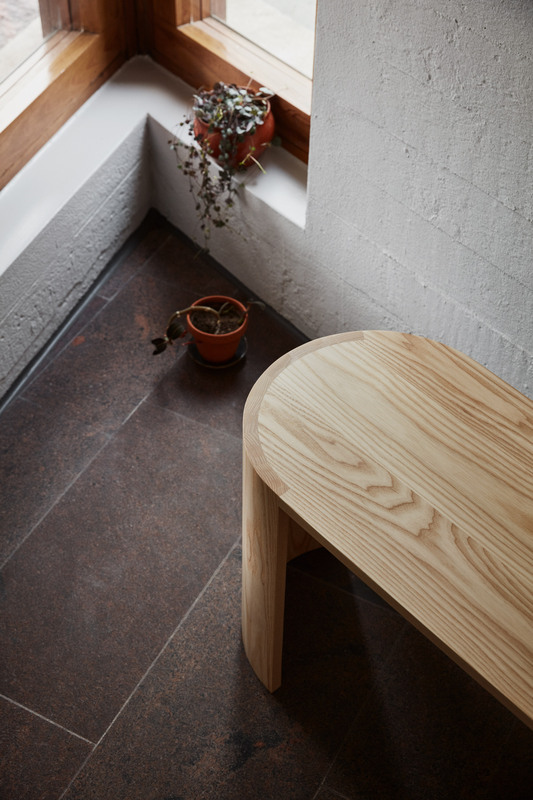 The collection, which will be debuted at Stockholm Design Week between 5 to 11 February, features two pieces – a bench and a side table – both made from ash wood. 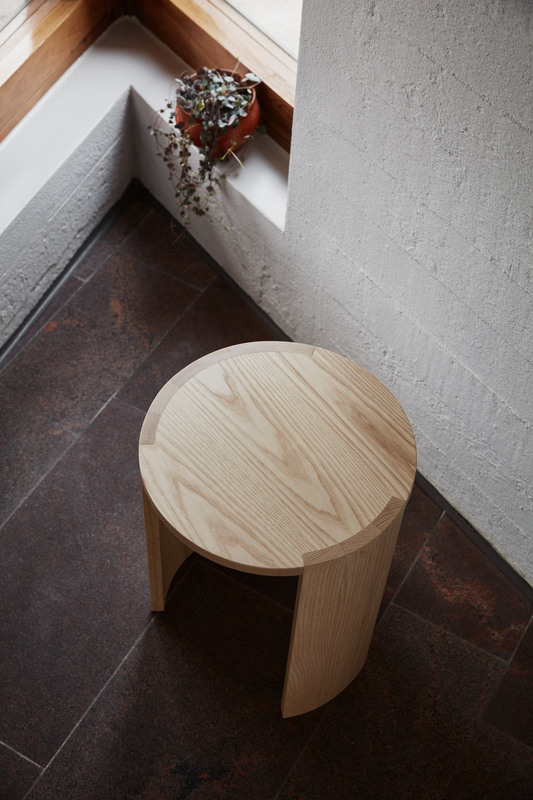 However, Laajisto maintains that the pieces have many functions and can be used as stools or for decorative purposes. 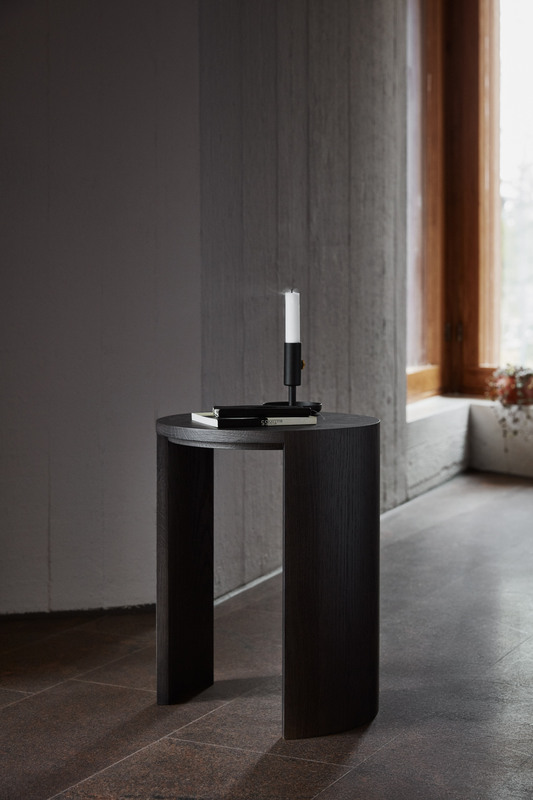 "A good product has to fit in different environments from the modern and minimalist to rich and classical," said Laajisto, who created the collection for Made By Choice. 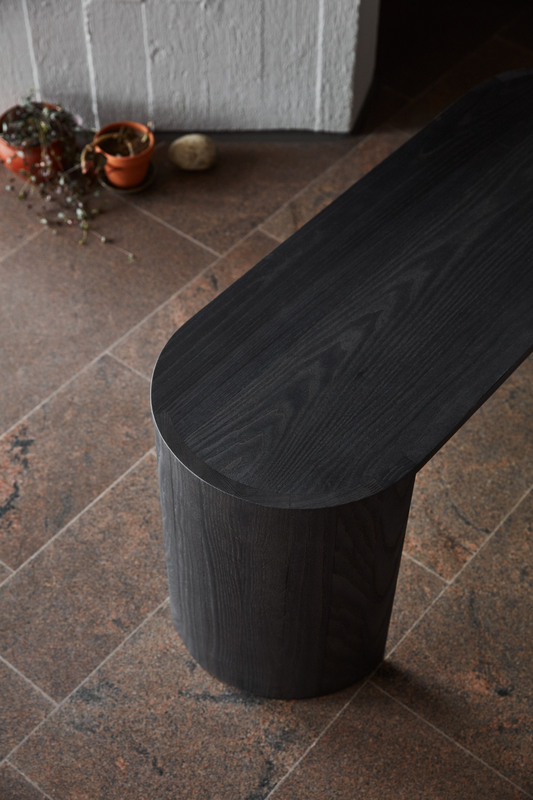 The Airisto series is available in both a light, natural wood colour and a stained black. "Natural ash accents the beautiful features of the wood. There is light wood and stained black, which highlights the shape of the product," she explained. 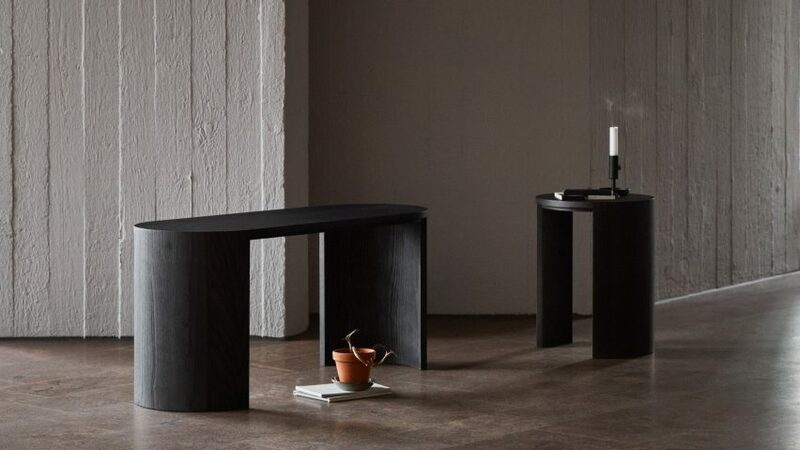 The side table has a circular surface which is supported by two legs that follow the curvature of its tabletop. 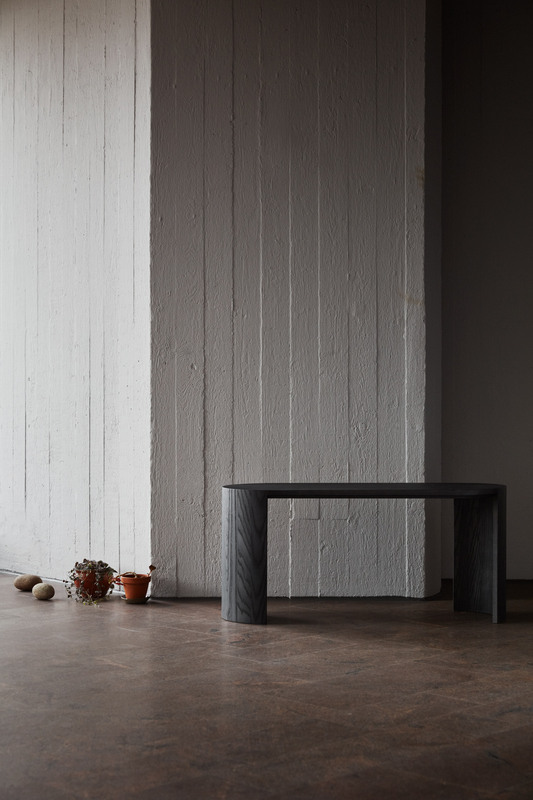 The bench looks appears as a stretched version of the side table, with a long, oval body. Both pieces have visible joints that emphasise the arched shape of the legs. "The simple and modest design language of the Airisto furniture emphasises the asymmetric shape of the foot structure," said the designer. "In the future, the series will be expanded with new products following the same design principles," she continued. Joanna Laajisto founded her Helsinki studio in 2010. Past projects include a restaurant with green panelling, white tiles and marble slabs lining its walls and a collection of modular storage units with boxes based on standard paper sizes.